As my kids get bigger, it seems their toys get smaller! I am constantly picking up small pieces – from Legos, to action figures, to small play set pieces. As my oldest, Matthew, is over three now, he has a lot of interests and a lot of little toys lying around the house. With a 9-month-old little brother trailing his every move, those little pieces also make me very nervous! Seems I’m not the only one who feels overwhelmed by the chaos of all the little pieces – and lucky for those like me, the creators of Lay-n-Go have come up with a pretty good solution of taming that chaos! I was sent a Lay-n-Go Lite for review and instantly knew it was going to work out well for Matthew’s smaller toys. 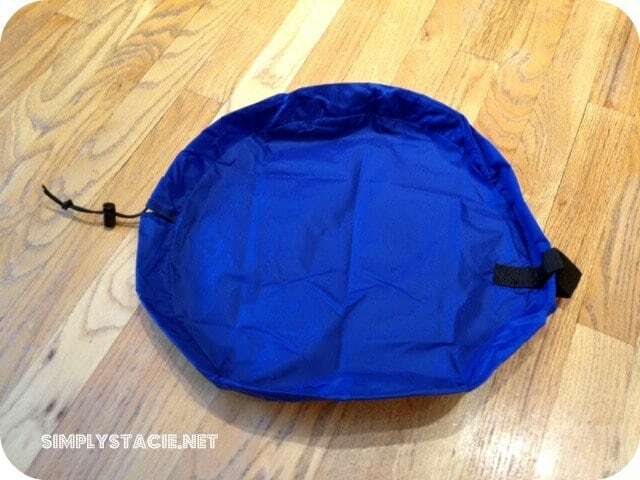 Made of a tough nylon, it was very sturdy and able to hold quite a lot. When it was fully opened it created a nice little play area for Matthew. The smaller size makes it ideal for travel or for taking smaller toys to grandma’s house for an afternoon. Matthew was easily able to convert it to a satchel with a little help, and was proud of being able to carry around his toys in the little bag. 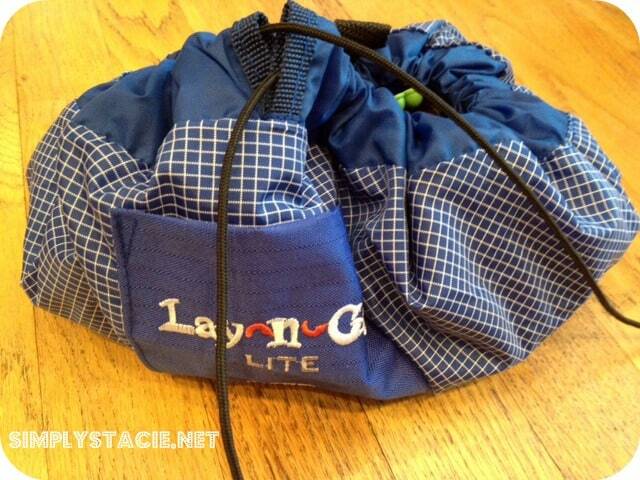 I like the Lay-n-Go Lite for its ease of use, its size and the quality of materials used in making each one. I also liked that I could quickly “scoop” up the smaller toys when little brother makes a grab for them! 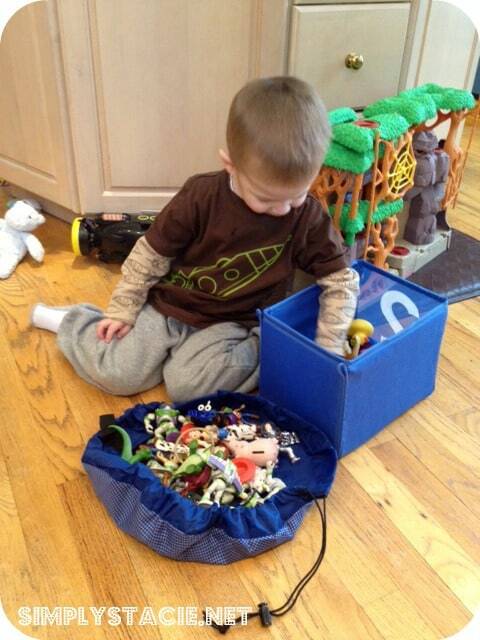 It’s also a nicer storage solution – keeping all the little pieces in one place. You can see the Lay-n-Go in action here. The Lay-n-Go Lite (at an 18” diameter) retails for $24.99. There is also a larger 5’ diameter Lay-n-Go which retails for $64.95. Both versions – in your choice of blue, green or pink – can be purchased at the Lay-n-Go secure store site. You can keep up with Lay-n-Go on Facebook, Twitter and on their website.